Room Amenities: The hotel has 153 room, comprised of Deluxe, Executive Deluxe room, and Junior suites with access to Executive Lounge. It is an experience to step into the rooms that boast of marble bathrooms, desks with ergonomic chairs, pillow top bedding, laptop-sized safes, 24 hr in room dining, and high-speed internet. Hotel Facilities: Facilities such as airport shuttle, full service spa, fitness centre and an outdoor pool are available. Some rooms come with executive lounge access. With a total 13,024 sq. 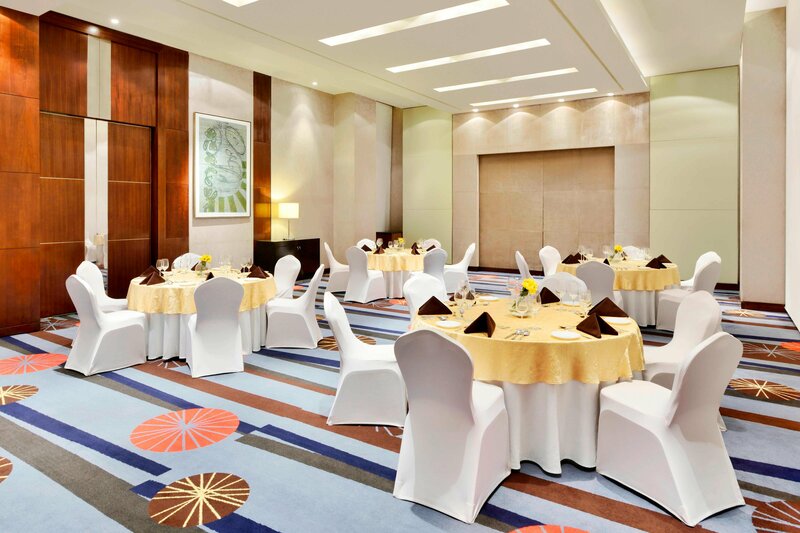 ft. of total event space, this hotel is the prime location for meetings in Pune. Seven conference rooms with an experienced hotel planning team ensure corporate meeting is run smoothly and effectively. Dining:The restaurant and coffee house MoMo Cafecoffee house offers all-day dining. It has a wide buffet spread and an a la carte menu. The interactive live kitchen at Ignite Grill serves seafood and meat grills for dinner. Guest can relax in MoMo Bar,open in the evenings for contemporary cocktails and finger food along with exquisite wine. MoMo 2 Go Deli provides the ideal place to grab a quick bite for breakfast, lunch, and dinner. Easter Weekend Package: Deluxe Room. Buffet Breakfast at MoMo CafÃ©. Buffet Dinner at MoMo CafÃ©. Late Checkout till 2 PM. It was too good. All the things from conceigers to service to food was all. Above the mark. Amazing experience with free upgrade and free spa session. Also surprise were, credit vouchers to be used in hotel during the stay. Clean room. Polite staff, delicious food. The front office people were super friendly and helped us with request for early check-in even when the hotel was fully booked the day before. Had a very pleasant stay and the help desk people were super helpful. We expected a better rooms and food. Breakfast is better than dinner and lunch. Happy stay have to get well workers. Everything they had was pretty good and the complimentary spa was the best spa I ever had. I am never staying anywhere else if I am back in Pune. The staff was friendly and good. The best stay I have had in a while. A little more spacious would have been better. Very nice and pleasant stay. Got free spa for me and my mum. Spa service was amazing. It was good decision. Very relaxing. Excellent rooms, service, food quality. Good experience overall, can be improved a bit. Overall a very good experience, the room was comfortable with king size bed and clean bathroom. We stayed here for 1 night and breakfast menu was pretty good. They can improve the options for in room service though. Will recommend the place. In room service food menu can improve. Bathroom and wardrobe layout was good. It was a good stay and the staff was helpful. It's a good clean and neat rooms. Bed was not proper. The springs were out and very uncomfortable to sleep. These are the kind of hotels where you can rest assured that you will get big, clean and comfortable rooms and room service. Additional facilities are on individual expectations to be very frank. Staff is humble and happy to attend you. Overall you will end up spending quality time here. Sorry I could not yet decided. Good services provided to me by hotel management, I would like to suggest friends also. Excellent security and facilities but staff need better training in customer handling. Internal service calls land up in a call center that expects guests to wait in the queue which can be really irritating especially when you made a call just to get a bucket of ice or a towel. Staff needs to be trained in handling non routine requests like someone asking for a plastic bag to pack the wet swimming trunks and a reply like " we have a no plastic bag policy" are not a solution. Hotel uses plastic bags in dustbins and I used it as a simple solution. For the daily business traveller this is one great catch. It's although away from the hustle bustle of Pune main city. Yet close enough to reach the heart of the city in 15mins without traffic. I have to mention the food --- I would give a 5 star rating to the food itself. What amazing food and varieties. Kudos to all the chefs! They charged us a Bomb for the new year eve night. The front desk is an extremely confused lot. They don't know anything about anything! Other than that everything else is 5 star. It was great to visit Khyber. I think the best Courtyard by Marriott Pune Hinjewadi in Gulmarg. Speciallly the scenario, mountains snow. It was great to see all this. Even it has a place called Gondala which was too good. It takes us to mountains where we can play and have fun in snow. 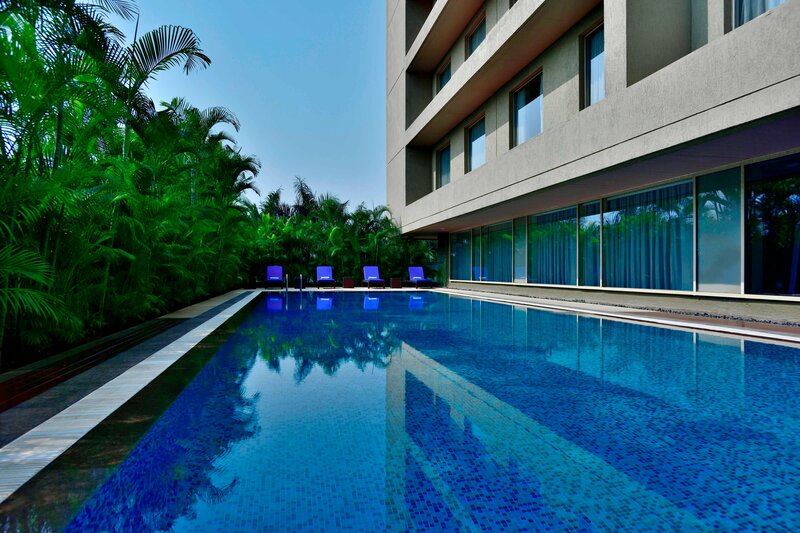 Besides, the Courtyard by Marriott Pune Hinjewadi is just awesome with all facilities and fun. I had the best time with Khyber. The Courtyard by Marriott Pune Hinjewadi is located in hinjewadi which is not the most happening place in town but still it was a good stay overall. The room was good and the services too. Their 24 hour menu is a little bad. If you’re staying in hinjewadi area, go for courtyard. It is better than the other Courtyard by Marriott Pune Hinjewadis in the area. It was an absolutely wonderful experience, right from the moment t we checked in, that too earlier than the allowed check in time. The facilities like spa, gym, pool were all very well maintained. The location was a bit off the city, but it suited us as we wanted to be near the stadium. The food was wonderful with a wide array and so was the bar. The location was awesome from non polluted zone. Nice. The Check in & overall experience was fantastic. The breakfast quality was too good. Year End year dinner menu was not so up to mark as expected. But we enjoyed the Year End party. The DJ was fabolous with a good collection of songs. The staff was very attentive and cooperative. Hotel had great ambience, probably one of the best Marriot Hotels I have seen. Service, front office, room and appearance was all exceeded what I was looking for. The only concern I see the options for food and delay to get something quickly and cost did not really meet my expectations. Well it was my fiance's 30th birthday and I wanted to give him a surprise for which the Courtyard by Marriott Pune Hinjewadi and its staff were more than enthusiastic and excited. From the room till the dinner and bday cake all was planned by them. Indeed a very hospitable stay..
Food was awesome. Excellent experience. Recommended to others. Stay was alright. Food was alright. There could be more variety in breakfast. Value for money anytime. Staff was very good from front desk, back office, housekeeping to restaurant. Gym was good, buffet breakfast was superb. Lunch buffet was mediocre, they can make it better. In short no complaints. Good luck courtyard Marriott. Check in time is too early and check out is late. Rooms were tidy and clean. Location easily accessible. Facilities were good. Staff was courteous and very supportive. Second time stay here. Very nice room, warm service, and good location, close to supermarket and cinema. 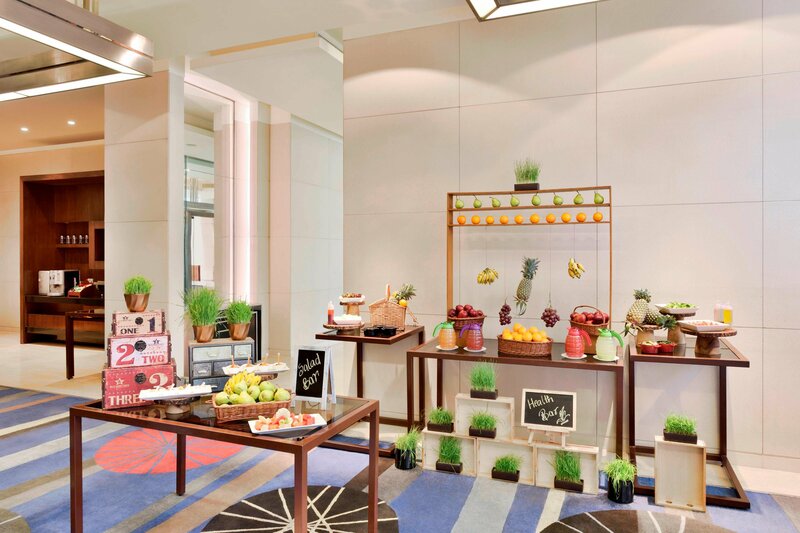 Restaurants in Courtyard by Marriott Pune Hinjewadi are nice with good environment. Only issue for me is that the slipper is not in good quality, not very comfortable. Food and breakfast is good with a wide spread. Tasty and refreshing start of the day. Room is cozy, bedding is comfortable and work space is good. Location of Courtyard by Marriott Pune Hinjewadi is good on the hinjewadi main road itself. Great room, Great Breakfast and excellent service. Excellent stay. Courtyard Marriott Hinjewadi rocks. One of my best experience in food really great. Nice gym and pool. Good rooms and service was also great. Really one of my best experience. Keep up the good work. Good room, Hinjewadi, swimming pool is great. Went for a relaxing weekend and got exactly that. Makemytrip voucher helped a great deal too making the experience very seamless and allowing us a wide range of options. Everything is all right if you are comfortable with toilet paper. Neat room with good location very good complimentary breakfast. Pleasant welcome by front office staff. Suggest to keep water connection in toilet with paper. A nice place to stay, but too pricey. Overall there were no problems with my stay, but if you can book earlier, you can find better deals at other similar Courtyard by Marriott Pune Hinjewadis in the same surrounding area.